"Under present marketing conditions the housewife complains that after paying what seems to her exorbitant prices for eggs she seldom obtains a really fresh one, and a large percentage of those purchased are absolutely un-fit for food. The farmer complains that after feeding his hens and caring for them during the long unprofitable winter months he is only paid 15 cents per dozen for eggs, while they retail at 30 cents in the nearby large cities. 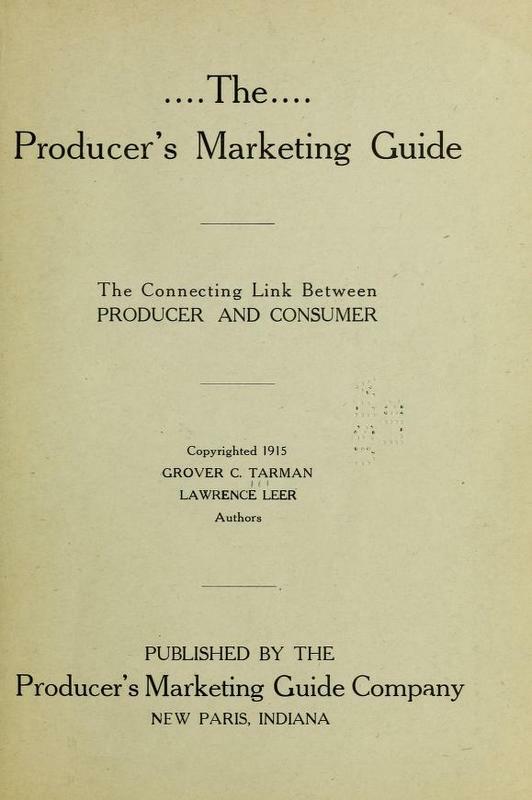 The Producer's Marketing Guide contains a large sample of product packaging designs and suggestions to accommodate the particular demands of marketing foods through the mail. Packing food for mail transport correctly would be a requirement to ensure the "city" consumer's satisfaction and renewed business. Here are a few samples for eggs, vegetables, and live chicks. 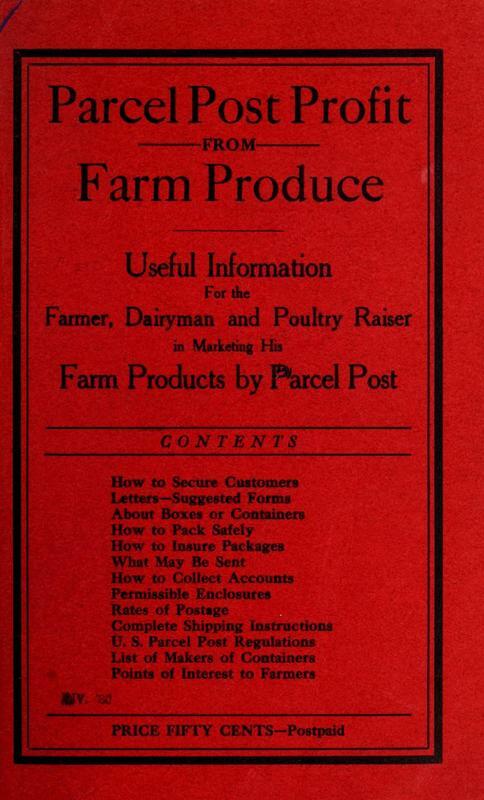 Parcel Post Profit From Farm Produce: Useful Information for the Farmer, Dairyman and Poultry Raiser in Marketing His Farm Products by Parcel Post. West, Hamilton Holden (1915). H.H. West, Publisher. It is quite possible you are now selling some of your produce to people living in a nearby city, to whom you deliver the articles when you go to town. These persons can do much for you by speaking kindly of you to their neighbors and friends, and no doubt will permit the use of their names by you as reference.